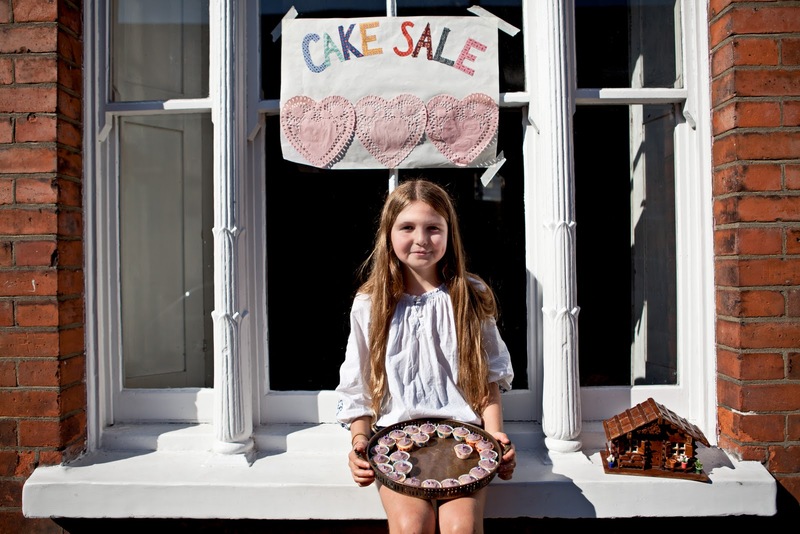 This lovely young girl reminded me of Sosij's daughter Velvet with her entrepreneur spirit. I think it is a very admirable of her that already at such a young age, she is using the outside of her house to add to her pocket money through cake sale. I loved how thoughtful and creative she was when designing 'her stall'. Ohh I really see the resemblence, how lovely, a sweet girl and hmmmm there looks to be a gap on that tray of hers Tyla, so Im thinking you bought one. Well you should have if you didnt they look yummy. Did you ask what she is raising money for. There is a children in need bake off. thank you for thinking of me. the heart look great as paper doilies. The photo looks great too. #99 You made my London!